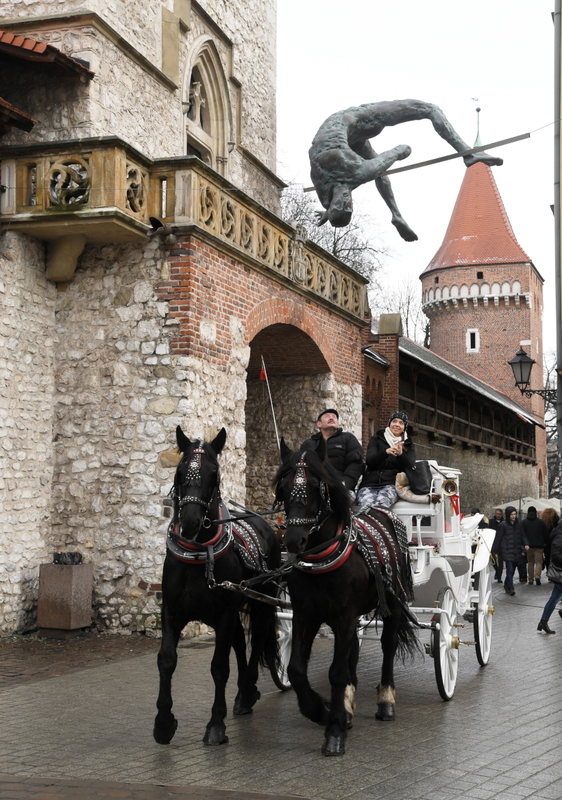 On Sunday January 27 Kraków’s Old Town saw the exceptional Polish sculptor Jerzy Kędziora suspend in the air one of his incredible and one-of-a-kind balancing statues. Kędziora flies in the face of conventional sculpture wisdom, which usually dictates that its creations should be firmly planted on the ground. But in case of Kędziora it is completely different. His passion is to create sculptures which are barely supported at all. The Kraków event is a part of ‘start’19’, an initiative by the Germany-based organisation Sculpture Network, which aims to promote modern three-dimensional art. They decided that January 27 will be a day for sculpture enthusiasts and on that day more than 70 venues took part in bringing modern art closer to public. Most of the events took place in Western Europe – from London to Rome, and from Potsdam to Sevilla—but some even occurred in more far-flung destinations such as Dubai. Kraków was the only Eastern European city to participate and Kędziora was the perfect fit to representative Poland. The artist, born on September 5, 1947 in Częstochowa, graduated in 1972 from the Academy of Fine Arts in Gdańsk and the University of Fine Arts in Poznań, and has since become one of the country’s most intrigue living sculptors. Since the 1990s he has been working on a series of sculptures of balancing figures, which have become a phenomenon on a global scale. 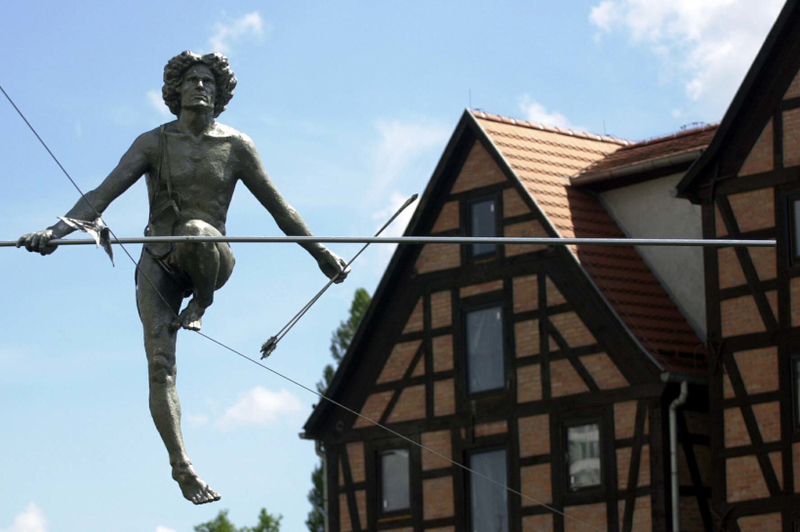 In his career he has created a dozen human figures ranging from acrobats to sportsmen, which balance in the air, suspended by a thin but strong ropes. 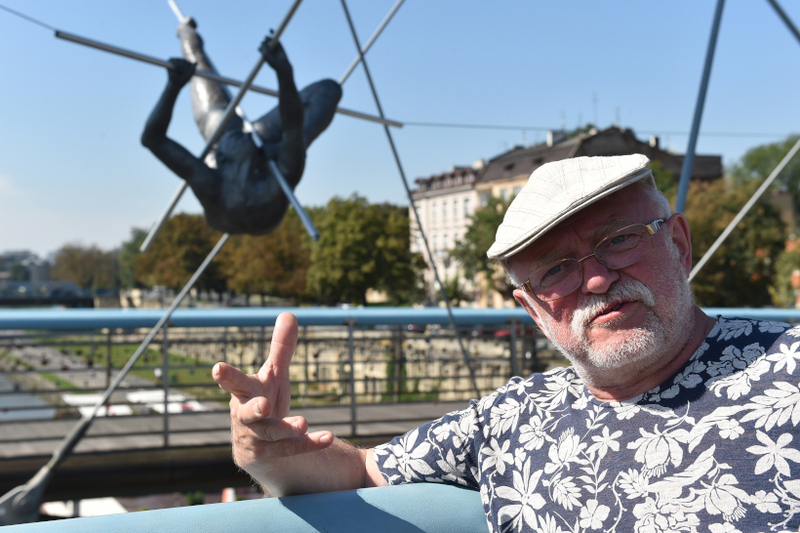 Kędziora’s sculptures are not only eye-catching, they have even become symbols of the places where they were placed, and this is exactly what happened in Bydgoszcz. On the day Poland joined the European Union, one of Kędziora’s statues was unveiled in the city. 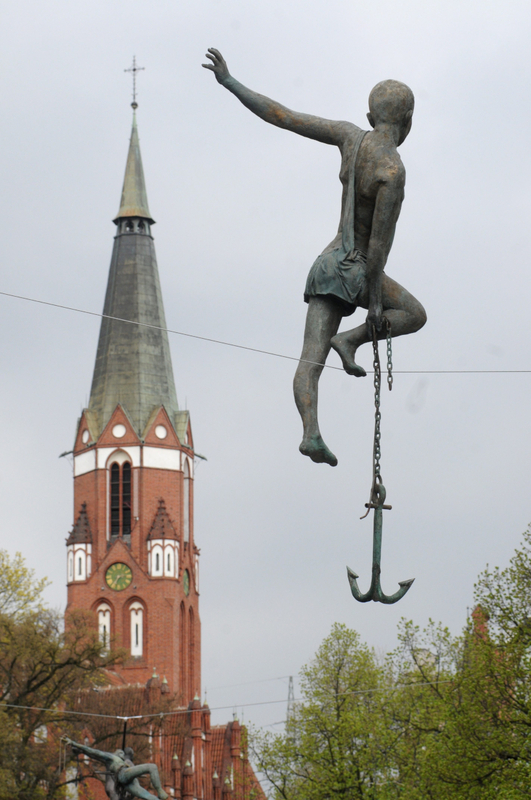 The sculpture represented a tightrope walker crossing the main river of the city, the Brda, on a rope stretched across the water. At first, the sculpture was only an interesting tourist attraction but now it has become one of the official symbols of the city. The sculptor has also not forgotten his hometown. 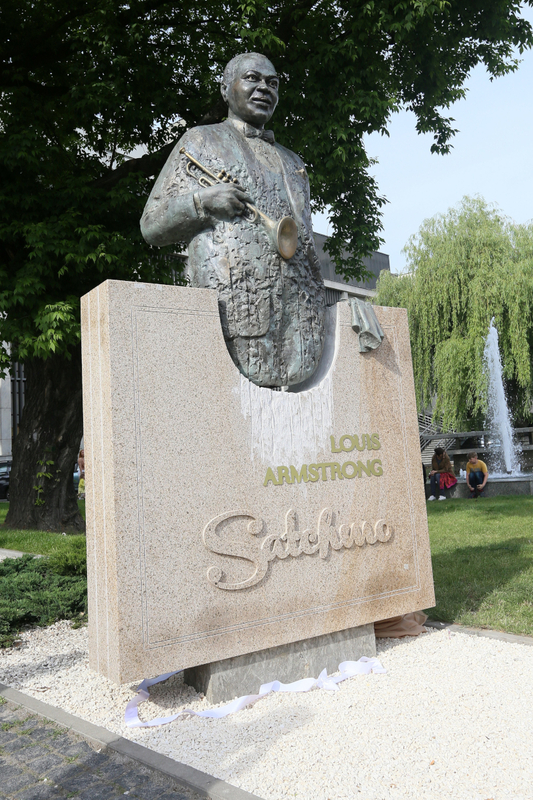 In 2015 he created a monument honouring the famous jazz musician Louis Armstrong. The statue, which was erected close to the Częstochowa Concert Hall, looks quite traditional with a solid plinth and a bust of the famous trumpeter on it. But Kędziora’s passion for balancing sculpture shines through as the statue has the ability to sway, as if Armstrong is moving to the rhythm of the music. Kędziora has also gained recognition outside Poland and has frequent exhibitions abroad. The first one, entitled ‘Figuration in Art’, took place in 1997 in Madrid, and since then he has exhibited in Berlin, northern England and the United Arab Emirates. 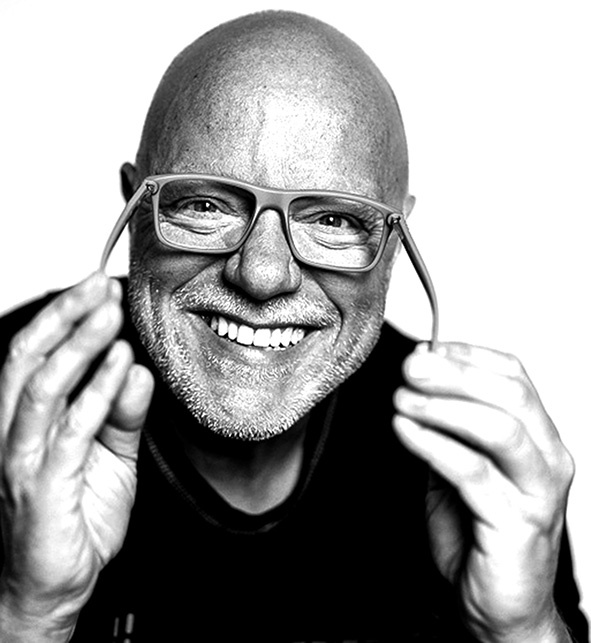 In 2015 he also had an exhibition in Miami, and this year, TFN has found out, there will be another presentation of Kędziora’s art in New York City.